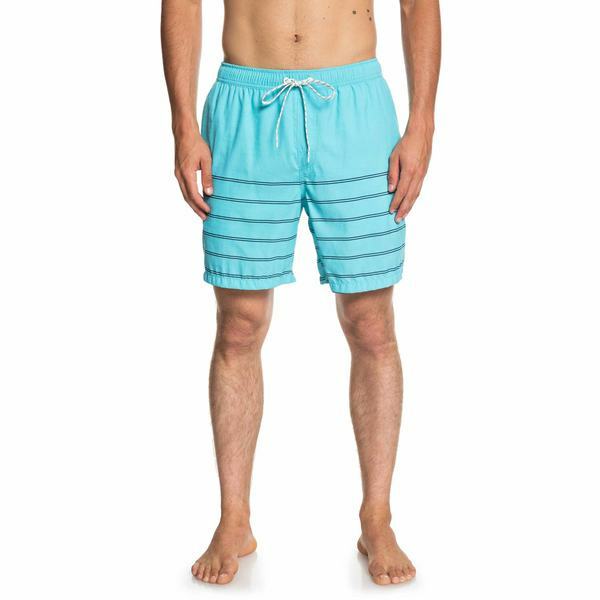 Be sure to pack Quiksilver's Sundown Swim Trunks for your next marine adventures! Waterlife enthusiasts will love these 18" outseam, above the knee-length shorts. The comfortable 100% nylon material delivers both flexibility and strength and you'll stay dry, as these shorts feature Quiksilver's DryFlight® water-repellent hydrophobic coating. Imported.